Our story starts in 1884 when a Victorian plant enthusiast, Mrs White travelling in the Himalayan Kingdom of Sikkim first found an orchid later named in her honour as Cymbidium whiteae. The species, which has never been common, has only been found in the area around Gangtok, capitol of the now Indian state of Sikkim. 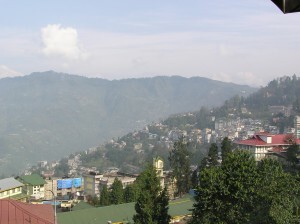 The wild population has suffered from habitat loss with development around Gangtok and from a hundred years of collection particularly for export to Europe. 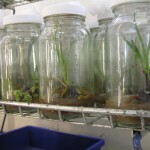 Writhlington School has been involved in orchids and their conservation since 1995. Lead by teacher Simon Pugh-Jones students have carried out field work in the jungles of Brazil, Central America and Laos, exhibited their orchids across the UK and successfully grown orchids from seed that are sold at Horticultural Shows and at Botanic Gardens. 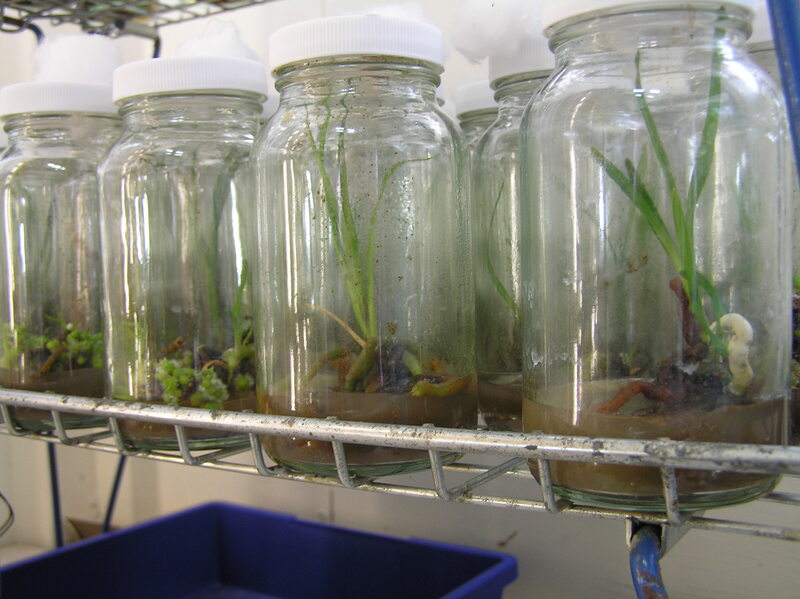 It was during the 2004 visit that the potential for working with Cymbidium whiteae was identified and Simon returned to the UK determined to find a plant in cultivation that could provide the seed needed for the new project. Yvonne is a renowned orchid grower in Cornwall and in the summer of 2004 she agreed to pollinate her plant of Cymbidium whiteae. It flowered in November 2004 and with instructions from Writhlington duly pollinated. The seed pod swelled and finally burst in late 2005 and was sent to the Writhlington School orchid propagation laboratory. 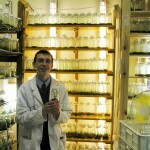 Writhlington School’s orchid propagation laboratory in a converted girls’ toilet is home to many thousands of orchid seedlings raised by committed pupils aged from eleven to seventeen. 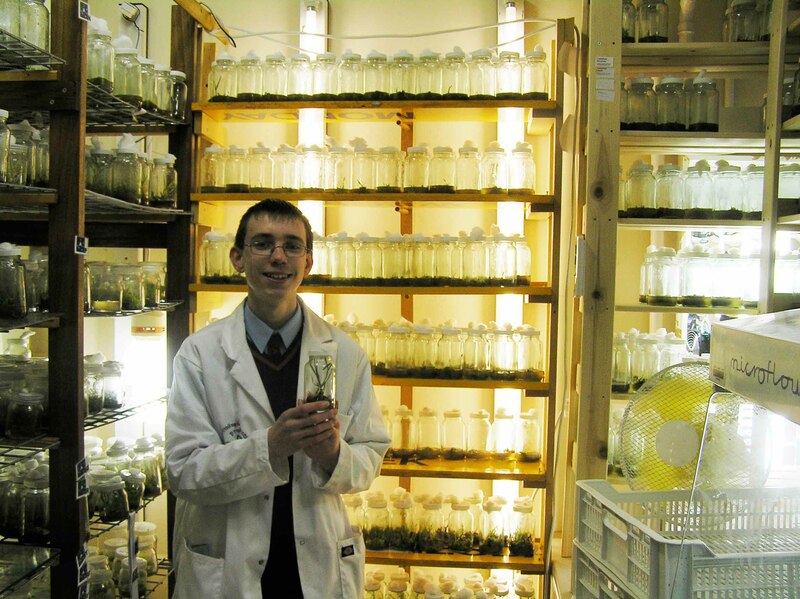 The laboratory is managed by two students Luke Shackleton aged 15 and Luke Barnes, 14. 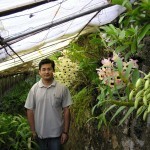 On March 27th Luke will be one of four students taking these orchid seedlings to Mohan in Gangtok. 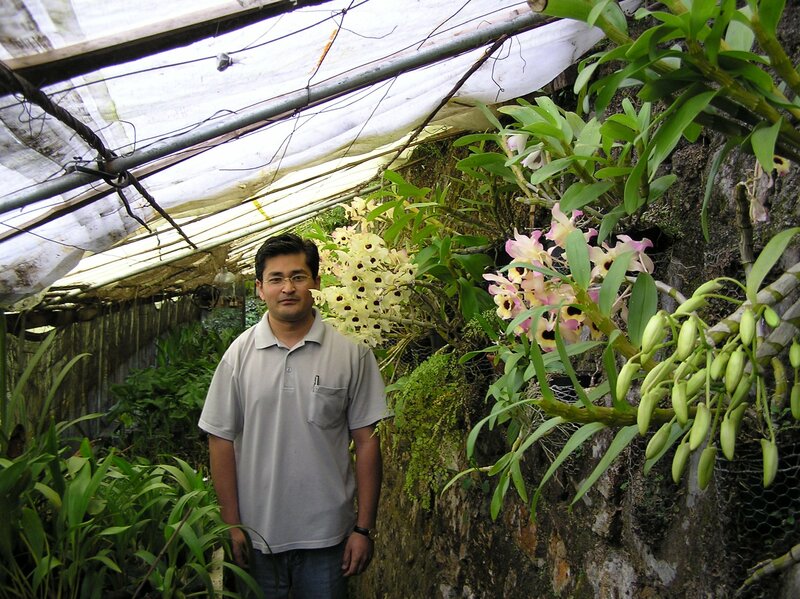 Mohan who runs the orchid festival in Gangtok has arranged for the distribution of these precious seedlings to the gardeners of the city. The species that once adorned the trees of this remote Himalayan forest will now be common again but cared for on the roof gardens and verandas of the city in the clouds. Ben is also on the design team for this Year’s Writhlington exhibit at the Chelsea Flower show. So look out for Ben and the team in May and get the full story of this remarkable project.